Nanominerals produced via bacterial activities. They are extremely small (down to a few nanometers) displaying unique morphologies and crystal structures. Rip and Jie were studying gypsum and associated microbial communities in the Tulerosa Basin, New Mexico. The micrographs revealed the penetration of alumina nanoparticles inside the bacterial cells without extracellular polymeric substances. Experimental evidence provided new insight into the bimineralization processes of high-Mg carbonate and the long-standing "dolomite problem". NanoGeoBio represents a wide range of natural scenarios where minerals (Geo) and microorganisms (Bio) meet to leave behind nanoscale products or result in microscopic, precisely-controlled processes. Examining these products and processes provides us an alternative and insightful way to understand biogeochemical cycles as well as the co-evolution of the geosphere and the biosphere. The major goal of the NanoGeoBio Laboratory is to leverage the characterization of the smallest components and the illumination of the microscopic processes in various Earth (sub)surface settings to obtain a bigger picture regarding the biogeochemical cycling of elements and relevant implications. We find that the subtle variations in the sediments' mineralogy, redox conditions, as well as contents of metal(loid) co-contaminants showed a pronounced effect on the associated bacterial population and composition, which mainly determines the system's performance with respect to uranium removal. 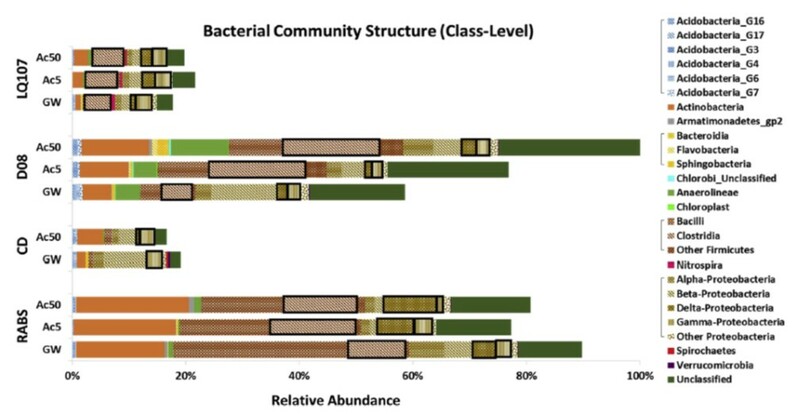 Positive relationship was identified between the abundance of dissimilatory sulfate-reduction genes (i.e., drsA), markers of sulfate-reducing bacteria, and the sediments' propensity to sequester aqueous uranium. The physicochemical properties of a nanomineral are strongly affected by its formation processes, and thus, may indicate the nanomineral’s formation environment and mechanism. This correlation, although relevant to a myriad of geological, environmental, and material-science processes, has not yet been fully appreciated and systematically explored. In this project, our major focus is to investigate the crystal structure and reactivity of biogenic metal sulfide nanominerals and compare these biogenic nanomineral with their abiogenic counterparts. Whoever interested in studying microbial communities in environmental samples, please contact the PI. Happily growing in our lab now. A sampling trip to the White Sands done!